The Digby Area Recreation Commission provides meaningful leisure for the enriched living of all citizens of the Town and Municipality of Digby. 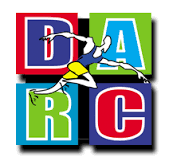 DARC Also provides leadership and assistance through local, provincial, or federal programs or providing leadership and resources to help them achieve their goals. DARC also assists with the maintenance of the soccer fields of both Digby Elementary School and Digby Regional High School.